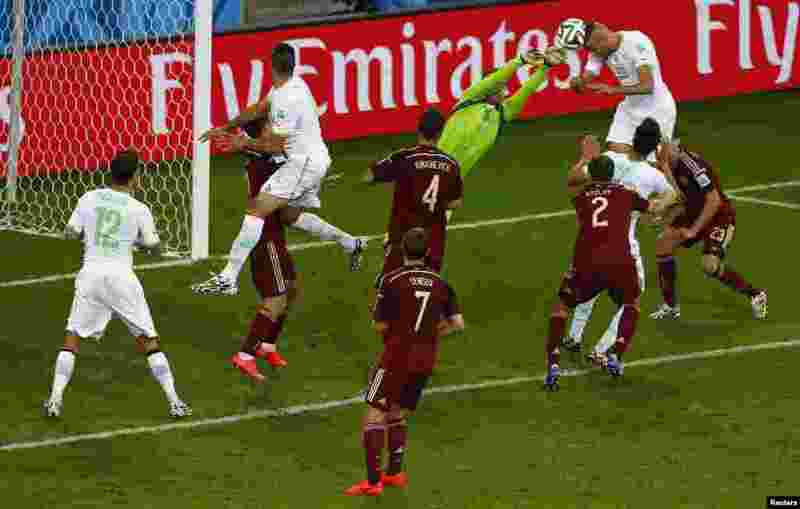 1 Algeria's Islam Slimani scores past Russia's goalkeeper Igor Akinfeev at the Baixada arena in Curitiba, June 26, 2014. 2 Russia's Alexander Kokorin heads the ball into the net as Algeria's Rais Mbolhi (goalkeeper), Essaid Belkalem (4) and Rafik Halliche (5) watch at the Baixada arena in Curitiba, June 26, 2014. 3 Algeria's Abdelmoumene Djabou celebrates with his teammates after tying Russia at the Baixada arena in Curitiba, June 26, 2014. 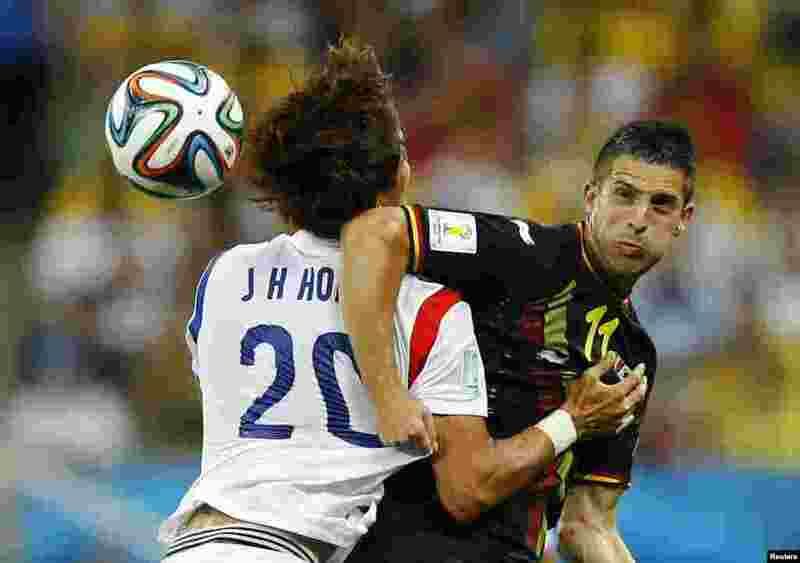 4 South Korea's Hong Jeong-ho (20) fights for the ball with Belgium's Kevin Mirallas at the Corinthians arena in Sao Paulo, June 26, 2014.